Now, Let’s talk about my monthly favorites. “Rimmel London” Match Perfection 2-in-1 Concealer & Highlighter in the shade Fair (125) is my go to concealer every single day. For Foundation, I’ve been loving “Rimmel London” Long Lasting Finish Foundation in the shade “Ivory”. For powder, “Maybelline” Shine Free Pressed Powder is my favorite. It doesn’t break me out and it really helps keep my foundation in place. “Milani” Powder Blush in the shade Coral Cove is a Must-Have blush for real. The pigmentation, the shade, the packaging is just perfect! Lastly, I’ve been abusing this Angled Blush Brush from Elf, it’s such an awesome beauty tool to have. I thought why not share with you what I use to prevent underarm wetness during this summer season. 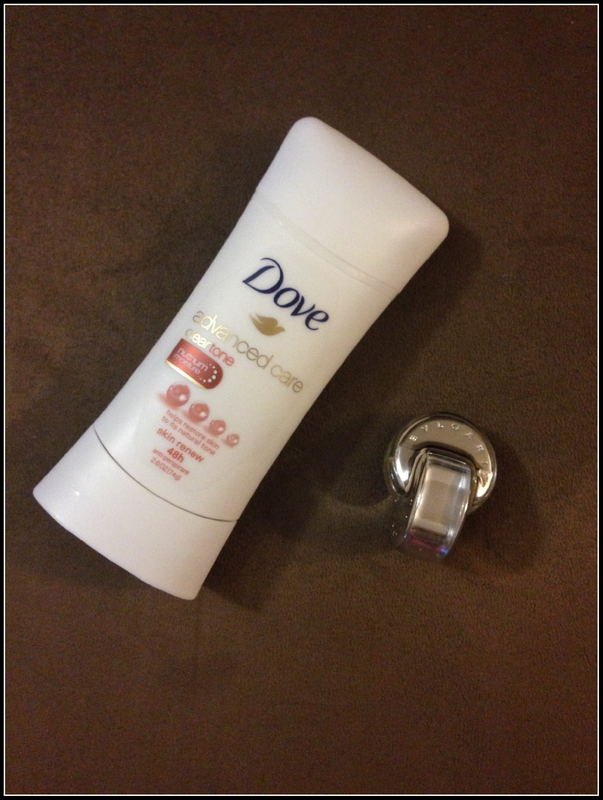 I’ve been loving this “Dove” Advance Care-Clear Tone. This is not only for underarm wetness but it also helps restore skin to it’s natural tone. (Skin Renew-48h anti-perspirant). I love the scent a lot and it doesn’t linger compared to other anti-perspirant out there. Next is my all time favorite BVLGARI Omnia Crystalline Eau de Toilette. a delicate floral woody experience. Capturing the glowing clarity of crystal light, Crystalline illuminates, reflects and reveals a woman’s radiance, luminosity, gentle sensuality, and graceful femininity. A sparkling jewel of light. Fragrance notes: bamboo, nashi, Japanese pear lotus flower and balsa wood. I got the sample size because I love to carry them in my bag all the time.